Ordinarily at this time, I would be plying you with pictures of my latest baked goods adventure, but life has sadly inhibited me on this front. You see, near the beginning of April, I noticed that my feet had swelled to about twice their normal size. When the swelling had not abated in a couple of weeks, I went to the doctor, and she gave me a moratorium: no more sodium. Or, at least, a lot less sodium. 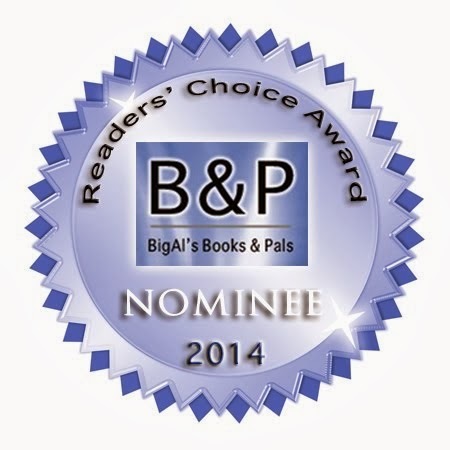 For a supertaster with a lot of food neuroses like me, this was kind of a major deal. And it meant that I couldn't bake nearly as many things, because butter, baking soda, peanut butter, buttermilk.... all loaded with salt. I've got a brownie recipe with no salt, and I have my hands on some substitute baking soda to try, but nothing super exciting. Perhaps I shall work up some more exciting substitutes in the future, but for now, it's all boring. 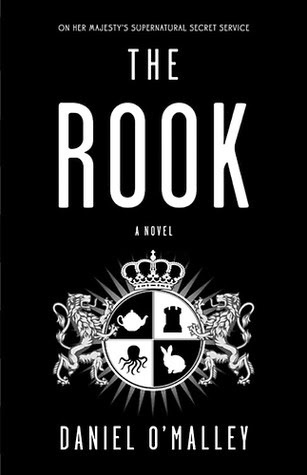 Instead, I shall have to talk about the last book I read, The Rook by Daniel O'Malley. I wasn't entirely sure that The Rook would be my kind of thing. It's not YA, there's no romance, and it's by a male author. (I know, I know. I hate being gender biased. But I like my books to have feeeeeeeelings.) I had it on my list because the description seemed interesting, and I gave it a try because some one in my on-line buddy reading group wanted to check it out, which is pretty much my criteria for actually reading books these days. The book opens with Myfanwy Thomas (She doesn't know how to pronounce her name either. Her best guess is that it rhymes with Tiffany) coming to life with a letter in her hand explaining that she is now in possession of someone else's body. Pretty much from there on, I was totally hooked. At first I wasn't sure whether the story was about actual body switching or not, but it turned out to just be the most interesting way of presenting amnesia that I have ever seen. New-Myfanwy has a series of letters from Old-Myfanwy explaining what her life had been like before she lost her memories. Old-Myfanwy had had four separate individuals (three humans and a duck) tell her that she was going to essentially disappear and be replaced with a new self. Since she had time to prepare, Old-Myfanwy left a series of letters to New-Myfanwy to help her get situated in her life. (Old-M also gave New-M the option of disappearing to a happy new life, which New-M was all about, until she knocked a bunch of people out with her touch. Then she had to know what was going on.) Other reviewers have commented that these letters serve as infodumps, which is 100% true. Some of them are relevant backstory, but most of them just serve to give us information about the characters and situations. But, really, they remind me how much I like a good infodump. As a writer, I spend a lot of time thinking about showing vs. telling (Apparently I do too much of the latter), but I think part of my issue is that as a reader, I really want someone to tell me what is going on. And Daniel O'Malley does here. And it's all interesting. Okay, yes, a few of the stories toward the end seem to have no point, and sometimes I wish I'd gotten more information sooner, but all-in-all, I am totally on board with the letters. Both Myfanwys work as high-ranking members of a supernatural spy organization known as the Checquy, which meant we got to deal with lots of individuals with a variety of interesting powers. Gestalt had my favorite power. He (or she, depending) was born into four different bodies but contained a single consciousness. When he was young, he could operate only one body at a time, but as an adult, he can operate all four bodies simultaneously. I thought about how hard it is to have two hands doing different things and had to admire him. Myfanwy's position leads me back to admiring the use of the amnesia trope. Old-Myfanwy had amazing powers over other people's nervous systems and the potential to be a great agent. However, because of the emotionally traumatizing way she was recruited to the Checquy as a child, she never grew to her full potential. Enter New-Myfanwy with all of the power but none of the historic baggage. Old-M told New-M that she was in a position of power, so she goes in and demands the respect that no one ever gave Old-M. And over the course of a quite long book, she becomes awesome. So, seriously. Read The Rook. I don't care who you are. And then join me in sighing that Daniel O'Malley is apparently an author who takes time with his books. But be respectful. Cuz, you know, writing books is hard.